the notes in iOS 10 from your iPhone and iPad? or iPad. You don’t have to worry if accidently you have deleted the notes from Notes app on iPhone running iOS 10 or below because you can recover deleted notes from your iPhone. iPhone or iPad running iOS 10. 2# Tap on the Back arrow. 4# Open the Recently Deleted folder. from the top right corner of your iPhone-iPad. left corner of the notes app. It will move your deleted notes on regular note list. to recover your deleted notes. That’s it. 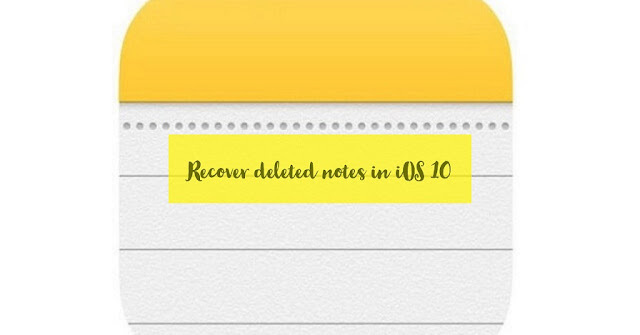 The deleted note is now recovered on your iPhone running iOS 10 from Notes app and returned back to the Notes folder.